Royal Chaos is a popular card-based Chinese 3D adventure RPG game now available in English that is set in the elaborately-carved world of the Chinese ancient palace. You will explore stunning scenery as you take up the role of an imperial concubine and make decisions that will affect how the story unfolds. 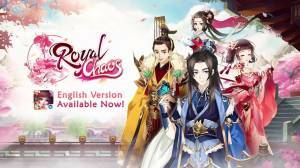 Royal Chaos features RPG elements and PVP battles that are all set in the ancient Chinese era. You will be able to customise your battle line-up by drawing hero cards, the more of these cards you have, the greater your versatility. How do you Upgrade a Hero? How do you Power Up Equipment? How do you get Treasures?